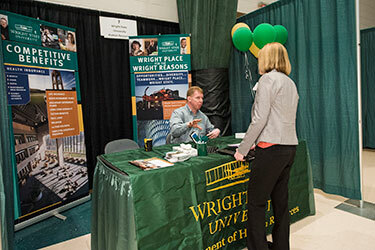 Wright State University strives to be an employer of choice. In order to reach and maintain this goal, everyone involved in the hiring process must be actively engaged in and committed to recruiting, hiring, and retaining a diverse faculty and staff of qualified, talented, and enthusiastic individuals; while ensuring compliance with all applicable laws and regulations. The Office of Equity and Inclusion is just one of many departments that serve as resources for assisting hiring managers and search committees.